Kitchen and Residential Design: Is living smaller the new living large? A group of us are tackling this topic this morning in what's becoming a phenomenon of its own, the Twitter-generated blog off. At the end of the post, I'll link to everybody else who's writing on this subject today. In the meantime, here goes my two cents on living smaller. We're living smaller -- financially, ecologically, consuming less... We're able to spend less time working to support the things in our life and more time just living. Or so said Ann Holley in The New York Times in a Trendspotting article last January. Holley and her husband live in a 127 square foot living space. They are graduate students. That such a quote would end up in a Trendspotting article is of a piece with another Census study that's been making the rounds all year. 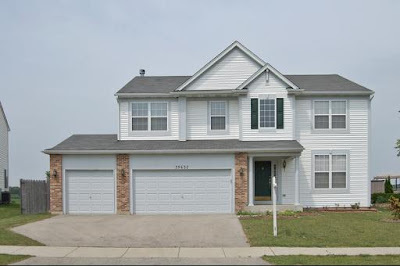 2009's Characteristics of New Housing published by the US Census bureau found that the average new home in the US averaged 2438 square feet in 2009. That's down 100 square feet from the peak finding in 2007. A little perspective. The difference between a 2538 square foot home and a 2438 sqare foot home is imperceptible. And in using that example, I'm falling into the same statistical trap that every trendspotter in the land made when they read it. Because this number is an average, it doesn't take into account anything other than a structure's status as new housing. The condominiums now languishing on the market might very well be the driver of that square foot drop. They might be, I don't know for sure. I don't think it matters here though. The conventional wisdom is that Americans are indeed living smaller but I don't believe it. 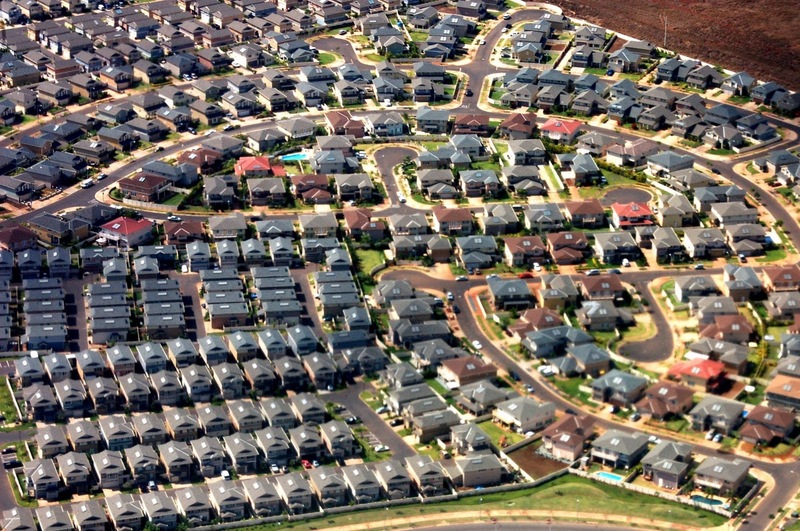 The majority of the people in the US live in suburbia. 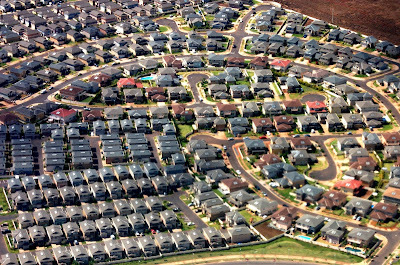 Suburbia that looks like this. 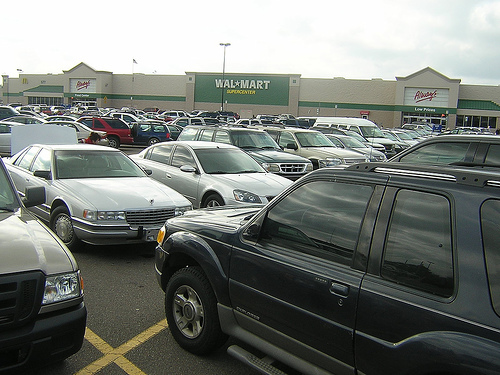 Despite all the claims to the contrary, this is what the American Dream looks like in 2010. A new, disposable home in inhuman scale set in a car-dependent neighborhood, which is also at a scale that something less than human. It's also a version of the American Dream that's as unsustainable today as it was when it was conceived. The American living room looks like this. No wonder Americans are so cranky. 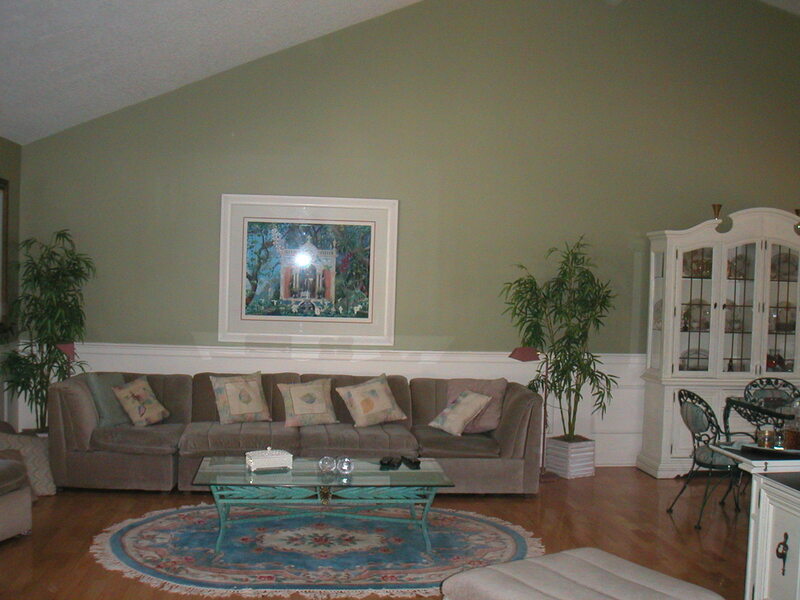 They could really use a remodel by a talented team like SHS Roofing to make that living room into a happier space. Shopping and town square socializing looks like this. The places where such things as socializing and shopping used to take place now look like this. So long as American downtowns continue to be abandoned and neglected, so long as the overwhelming majority of Americans need a car to go about their day-to-day lives, so long as Wal-Mart continues to be the the US's largest private employer and grocery retailer, I won't believe that Americans are living smaller. Sorry to be such a party pooper. The rest of the gang'll be writing about the joys of smaller scale living but I feel like a voice in the wilderness with this stuff. So to answer the group question this morning, Is living smaller the new living large? I say the answer is no. Nick Lovelady at Cupboards Kitchen and Bath, Is Small Really Realistic? Becky Shankle from Eco Modernism, Is Living Smaller the New Living Large? Sean Lintow's The Homeowner's Resource Center, Building Smaller, Is it the Next Big Thing? Interesting perspective. I think the *idea* of living smaller is prominent now, but you're right: in suburbia, where I live, very few people are actually executing that ideal. I wonder if the concept is something that needs to be looked at demographically? Living smaller is probably easier and more accessible to urbanites, singles, and empty-nesters, rather than the folks in my neighborhood, including me, who are mostly growing families with growing needs. That's not to say we don't want to be more sensible about what we buy and how much we spend on it. Our consumption trend is rising as we welcome new family members, but I still try to "live smaller" by saving money, saving energy, recycling more, etc. Meanwhile, I spoke to a remodeler recently who is definitely seeing the an angle of "living smaller" among his Florida baby boomer clientele. Most of his clients are empty nesters and many are choosing to re-do spare bedrooms in their homes now that their kids have moved out. Rather than having extra guest rooms that no one uses, they're remodeling them into art studios, home theates, gyms, etc. The key, he says, is that they're working within the existing space they have, rather than putting an addition on their home. Part of the reason is because the ROI on added square footage has plummeted recently. It's no longer a smart move moneywise to add onto your home. I guess you could say "living smaller" comes in all sizes! Lauren: Interesting. I ply my trade along the beaches here in St. Pete FL and the only think I notice getting smaller are my margins. I think what's changed is a new concern over the appearance of consumption but not the consumption itself. I'm not pointing fingers and I understand your point but I think the headlines trumpeting an emerging trend where small is the new big are wishful thinking at best. Anon: Thanks for speaking up. Where are you that you get by without a car? I don't believe it either, Paul. It's lip-service right now. And I don't think it's possible to make living literally smaller a reality for quite a while, since we are dealing with housing inventory and built environments that won't allow it, as you stated (unless we just start tearing stuff down, but that's unlikely). If we can get people to come to their senses about size and stuff, conserve, reuse and recycle more, then it will be a step in the right direction that will hopefully pick up speed as time goes by. I'm loving all the blogs on this! Thanks Tammy! For the time being, the new smallness headlines and feature stories are prescriptive and not descriptive. US culture is going to hit a wall sooner rather than later and I hope that we come to our senses before we have to. Great topic! Smaller is also a great design challenge that promotes creativity & efficiency. One thing I forgot to include in my post was, what happens to the ghost towns of the foreclosed suburbs in the event we return to city cores? I think Lauren's Using What You Have idea is applicable on a neighborhood scale. Maybe some of the larger homes become group homes. Maybe some become Third Places. It will be interesting to see. Glad we all agree on this one. I started my blog with a rant (and substantiating numbers) much like Paul's but then decided to ease off the throttle for aesthetics sake and because I felt like it. But you are exactly right. It's lip service without much chance of ever changing. At the moment we cry for small living but that's only because we're out of cash. The moment they turn on the faucet again we'll start spending it on big homes, big cars, big lives. My new home in England has been nothing but pure pleasure. It's 1200sf for 4 people over 4 floors and it works. There's a real challenge here for architects and designers to show how appealing that can be. Trouble is, when I was looking for images to substantiate that claim I was left in the dark, because when design articles here refer to "oh wow what an amazing small house" they're still talking 2500sf. You can call that a cottage all you want...it's not. Thanks Becky, are you posting that on Twitter? I'll add you link in a sec. V: You nailed it. As soon as the faucet gets turned back on it'll be back to business as usual. Thank you for touching on this topic. I always roll my eyes when HGTV or some other shelter focused media talks about the "new small space living" and then goes on to show 2000+ square foot dwellings. We bought our circa 1899 home in 1988 when most of our friends were moving into ever bigger homes. Our house is only about 1200 sf and we have comfortably raised two children here(last year we became empty nesters when our youngest went off to university). It is also within walking/biking distance of our thriving downtown, restaurants, coffee shops and grocery stores. Small space living is not only possible, it can be quite satisfying! Oh believe me, I know. I live in a shoe box and I don't miss having extra space. I'm also within walking distance to everything I need. One of my great pleasure is to park my car on the first day of a long weekend and not use it again until I have an appointment in someone's home days later. Suburban friends use my place as a stepping off point before walking to the park, the theater, the movies, dinner out, the symphony, you name it. Having lived in apartments, townhouse, big house, even bigger houses, to now downsizing, I'm wondering if our desire for lots of square footage is based on what we've been told is the American dream. How many people use their living rooms? Why aren't there more great room floor plans being built? Perhaps if enough headlines say living small is the way to go, enough people will wake up and realize they really can live in less. But try finding a small, well designed home. There's a huge master planned community (I think near Sarasota) for homes and shops that's been in the works for years but hasn't started yet. I'd love to live there but communities like this are almost non existent in SW Florida. No wonder Americans are so cranky, indeed! Loved the post and your images were perfect (especially the shot of the development up top)! I've long been a fan of making silk purses of sows ears and the ideal of treading lightly on the evironment. Have I done it? Well sort of... I've always had a place that was smaller than I would have liked because of finances so my space has been small out of necesity. I even lived in a commune in a teepee one year (in my pre-kids days). Now that I have the means, I'm not looking to downsize. My home is not just for me, and I look forward to being able to give a little elbow room to the other three that live here and (heaven forbid) have room when family and friends come to visit (primarily my children and grandchildren -call it bait if you must). I don't think I'm all that different from others of my age or demographic. I agree Paul, that the burbs arean't going to go away anytime soon. From my perspective, it just looks like the existing housing stock is being forced into affordability due to the economy. I've also heard rumblings that we (as a society) may be headed for a major housing shortage as new construction will not keep up with the increase of the home seeking population coming of age. Still a big fan of New Urbanism, I fantasize future development will be more about living smart than living small. That by design, people can live comfortably (with enough room not to sacrifice personal space) yet communally (close enough to our neighbors to know their names and maybe even enjoy their company). And also that transportation to work isn't necesarily one person in one car or even needing to own a car. That walkable neighborhoods encourage alotment of shared green belts and live-work commercial spaces. Ahh but Anne, I do live in a community where I'm close to everything and it's in SW Florida. It's the northeast part of downtown St. Pete. Similar, urban, residential neighborhoods exist in Tampa, Sarasota, Dunedin, Safety Harbor, Bradenton, etc. Saxon: Thanks for the huzzahs and thanks for joining in on the fun. Pam: I'm a fan of New Urbanism too, so long as it keeps the urban part. When I start seeing population densities increase rather than decrease, I'll believe that the US is right-sizing itself. Master planning is a step int he right direction, but when streets and green spaces remain in private hands (as in the case of a master planned community) the result will always be closer to Disney World than to a real town or city. "We're living smaller -- financially, ecologically, consuming less... We're able to spend less time working to support the things in our life and more time just living." More time just living? On what planet? Looking at other indicators, even the employed are losing ecomonic ground, and working more (sometimes to make up for their laid-off colleagues). For all my cynicism, I do try hard to make real the fact that it's not 'The American Dream', it's 'YOUR American Dream'. And yes, Madison WI has oodles of unsold downtown condos built by idiots who thought everyone would want to live there. (Geez, the developers all whined about how they couldn't possibly make any oney with building less than 5 stories tall in a 2 story town, and couldn't sell even a single floor). In fact, some of the developers are being sued by their buyers because the things like pools never got built as promised. And who would want to buy a 300K, 1000 sqft condo downtown when a mile or two away you could spend half as much for twice as much, and still get what you need on your feet? And those kids coming of age? They'll find out in short order they were sold a bill of goods. Their college education isn't getting them a job, and their chances of owning a piece of anything gets less and less each day. Man anon, you sound like me. I can't shake the sense that the economic experiment of the last 30 years has yielded an uneven return at best. I agree with you Paul that the tenants of New Urbanism are lofty ideals for community planning (but they are not necessarily only master-planned communities where an HOA owns the green spaces with signs forbiding all but residents to use them). Where I live there are both public and privately owned developments. My current home search is focused away from private developments. I don't want a gate keeping people out and I don't want to pay extra to have an HOA hire somebody to mow the grass in common areas. That's one of the things I expect my property taxes to pay for. I keep coming back to the fact that the First Amendment only exists in the public commons. There are no First Amendment guarantees on private property. Every time I find myself in a privately owned park or on a private street I just wonder if the people who buy into those communities realize what they give up in exchange for the appearance of order and safety. Paul: you took on the big story here. Its not just our houses, it's our cities, our lifestyles. We have a lot of waste. Excellent essay and photos. But here's the thing: You don't live in one of those souless living rooms yet you sound incredibly cranky. Me too. So I think that so long as there are any ugly living rooms in America, we designers will still be cranky. ah me, its going to be a very long transition indeed. thanks for inviting me to your blog roll, I am having a blast! This topic really did a number on me. I don't know what bothers me more, a self-inflicted economic crisis or naive opinions that think we can somehow buy our way out of it. its small, but fitted out like a boat, designed by a theatre set engineer and all custom built - not an inch of space is wasted, there is storage under the seat, a full size dining table slides under the kitchen bench, the TV panel rolls away... its cool. And yet it is nearly 4 times 127 square foot - are those grad. students related to Stuart Little....??? That living room gives me some serious nausea! Great post, Paul- GREAT topic. Thanks for including me! Anon: Wow! How much did it sell for I wonder. Whatever the price, that's and amazing apartment. Nick: I can't imagine doing these things without you! I can't speak for Americans, but I'm not seeing any trend of 'living smaller', in fact when we are talking housing, it appears quite the opposite here. In the newer Suburbs and Retirement Villages, home developers are packing them in like sardines! Greenspace and lot size are only smaller and clever marketing better described as 'track housing' or 'paradigms of that on a military base' which are titled as 'Community, Gated, Estate, Executive, Luxury etc.' As for the city cores logic tells me; Condo and/or Apartment dwelling; 'stacked' with 'minimal square footage' is purely out of necessity due to the lack of land. As for Ann and her husband inhabitating a 127 square foot space; I say all the more power to 'them'. then and only then will I be convinced that "living smaller is the new living large". I'm with you Brenda. I'll believe it when I see it. What a great thought provoking subject. It is amazing what we think we need for living space. I have lived in small ( 10x45 mobile home just starting out) and larger 4,000 square feet, and everything in between. I don't think bigger makes you happier, but if you are sharing the space with a lot of people it is nice to have a little room to breath. What I do think is, the way a space is laid out and the aesthetics of that space makes a difference in how we feel and live. So planned communities? They are here to stay. ( In California they are taking up every available inch) Done right can be very rewarding to live in, giving a sense of community. Done wrong, they are crowded and stifling. My husband actually sells homes for one of the national builders. He has been instrumental in selling in some of the brand new communities that offer wonderful amenities and encourage great camaraderie among the new home buyers. There is a certain profile of families that will only buy new and love these communities. (Believe me I am not one of them, but I am glad they are there. Give me wide open spaces and as few neighbors as possible.) But the only reason we see them building smaller homes right now is economics. It has nothing to do with being more Green or making a smaller foot print on the earth. ( this is just a marketing ploy to make us believe that is what we want.) With the big home builders it is all about what they can sell right now, and big isn't selling. ( with jumbo loans hard to get and not as many move up buyers it will be this way for awhile.) When big starts selling again they will start building big. I'm late commenting but thought you did a great job with excellent discussion in the comments!! That first picture is my personal hell... I have plenty of friends who choose to live in developments like that because they value new, fresh, BIG as what's important. Until someone changes their value system - which is pretty damn impossible - big, disposable housing will continue to exist because they live the other parts of their lives focused on big, disposable everything. Paul - the south yarra deco unit sold for AUD$490000 - about $1200 per square foot!!!! Sue: I'm with you all the way. As soon as the spigot gets turned back on it'll be back to the races. That segment of society who will only buy a new home in a planned community is responding to a marketing message, that's not an innate human characteristic. Whatever's behind it, it's an unsustainable model. But that's an easy finger for me to point, I'm a city dweller! Saucy: This exercise was a lot of fun but I have to tell you that it's thrown me into a two-day funk. To quote my Dad, "We're doomed." Anon: Wow! I knew housing in Sydney was expensive but that's significantly more expensive than I'd thought. South Yarra is a posh suburb in Melbourne, not Sydney. The price is all about the location. If there's a trend to smaller houses here, I haven't seen it. There are plenty of people downsizing and a certain number wanting to have a smaller footprint, but I think it's business as usual for builders. Thanks for the clarification Chookie, I was saying earlier that I don't know enough about Australia and I appreciate the direction. The thinking you describe there is the same as it is here.